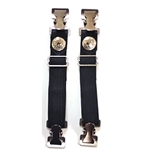 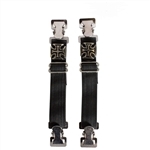 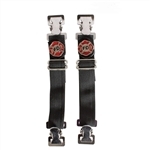 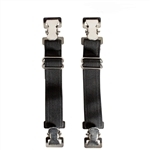 Keep the wind from blowing up your pants or jeans with a cool pair of biker pants bungee straps. 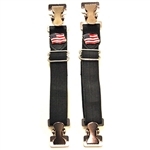 Adjustable straps with strong alligator clips, assorted designs. 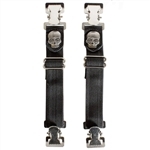 Don't forget to check out our full line of western & motorcycle footwear for men.